Looks like it'll be a few more days before I can post the summary thread. Between my power chair deciding to die (it just needs new batteries but I have to jump through the usual bureaucratic hoops to replace 'em) and a new round of back pain, spending any time working on the ol' puter is difficult. Soon, though, I promise! I summon the unavoidable delay! It's all good, Buddy. Just get the problems unkinked and get to it when things are back to being copacetic. Funny books can wait. Take all the time you need, Kurt. Your health comes first. The later the better! The delay gave me time to finally post my 12th day, and now maybe I can add a few comments on other people's picks that I didn't have time to do before. I thought it was peculiar that some people chose to select a character and name an artist at the same time. The original artist isn't always the best person to draw a character. But this wasn't best appearance, it was best design and the first artist to draw it is the one who designed the look. Others may have copied or tweaked it, but they didn't design it unless they gave the character a whole different look (which has happened). A costume can only be designed once. If it is designed a second time, it's a new costume, so the original artist is inherent in a discussion of it's design. Many of the looks were tweaked along the way. I picked Dr. Doom from FF #5, who didn't really look the same after that appearance. For example Deadman never looked better than when Neal Adams drew him but Carmine Infantino designed him. I think as long as the look stayed more or less the same, it doesn't matter. yes but those tweaks weren't part of the design, unless they were significant enough for Kurt to approve it as a whole new design. The topic wasn't which variation of the original design you liked best, it was which design did you like best. It was the favorite look. Kurt said we could pick the same character for all 12 days if they looked different. 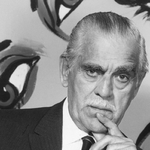 I named the artist who designed the approximate look I was referring to. For Dr. Doom that was Jack Kirby, and I noted Fantastic Four #39 as the look I prefer. For almost every entry, I named the original artist on the character. The only exception is Firefly, whose Knightfall-era design was noticeably different, so I credited Graham Nolan instead of his creator. Without wanting to put words in his mouth, what Kurt said was that it's OK to cite multiple looks for a single character as separate entries, as long as you can think of enough different designs. 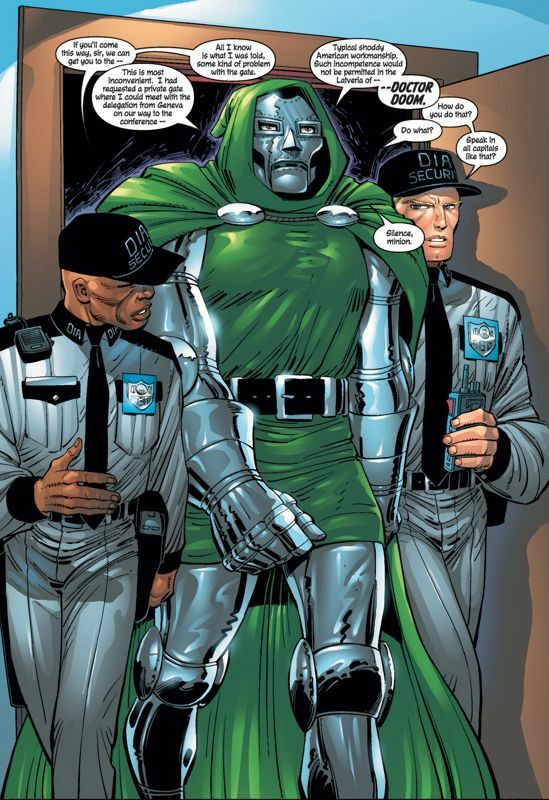 A slight variation between Dr. Doom as drawn by Jack Kirby in the '60s and, say, Dr. Doom as drawn by John Romita Jr. in the 2000s, doesn't really count as two different designs. The costume is essentially identical. 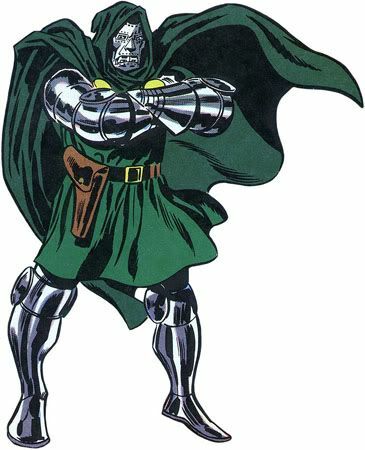 Therefore, the artist who designed Doctor Doom is Kirby, even if Romita Jr. is putting his own slant on it years later.